Keeping up with every aspect of your finances takes effort, which can feel overwhelming for many people. I enjoy checking my financial accounts regularly to track my spending. Unfortunately, it’s easy to overlook subscriptions and recurring expenses. A tool like Trim helps avoid that problem. 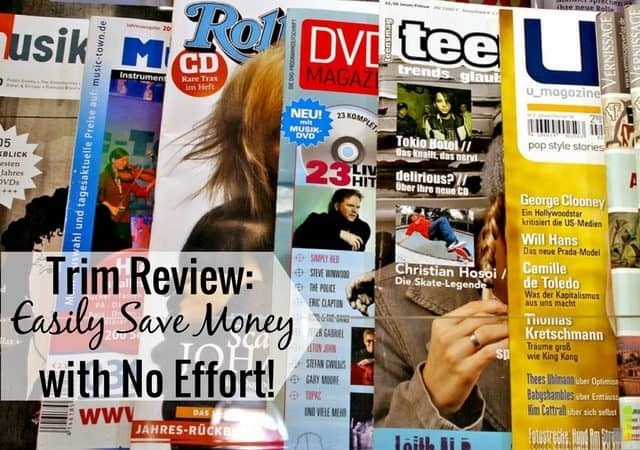 If you struggle at tracking your spending, or believe you can save money on your monthly bills, this Ask Trim review shows how the handy app can do a lot of that work for you. Sure, you can do this on your own, but it’s easy to overlook due to lack of time or desire. If that describes you, it often leads to overspending, or your finances being off track. 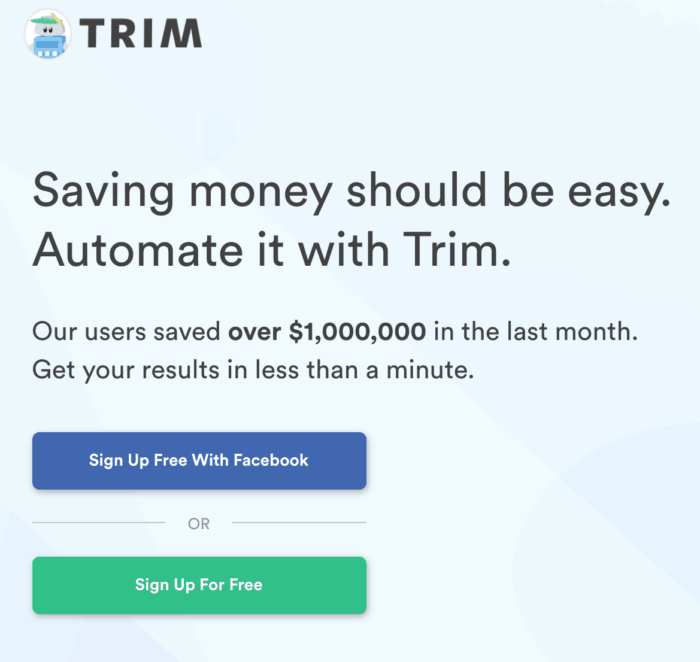 Trim works on your behalf to streamline your finances and save money on your bills. The best part is you can sign up for Trim for free. You simply need to provide an email address, or Facebook account to start. From there, you connect your banking information – the accounts you connect are at your discretion. The service even allows you to communicate via text or Facebook Messenger. This is all something you can do on your own, but many don’t know where to start. 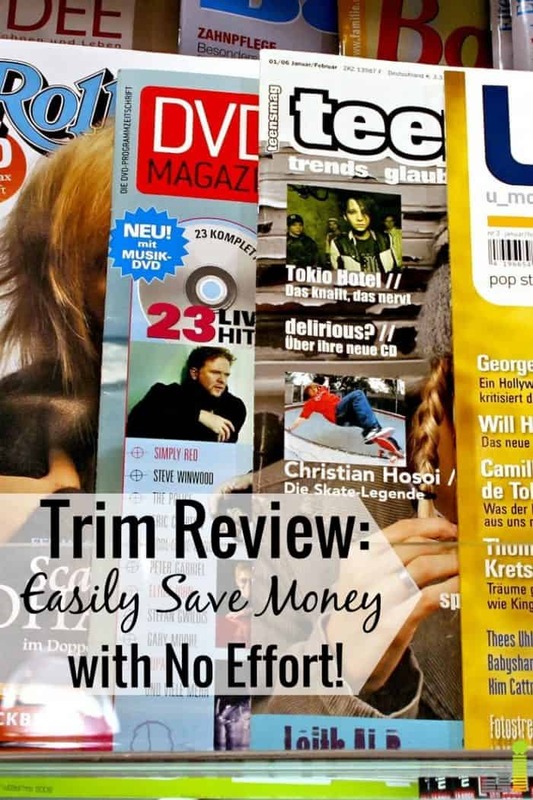 Trim simplifies that by doing it for you in the background. The Ask Trim app currently works with over 15,000 financial institutions, so it’s likely your bank is on their list. Apprehension aside, it’s best to connect all of your accounts so the service can get a complete view of your finances. 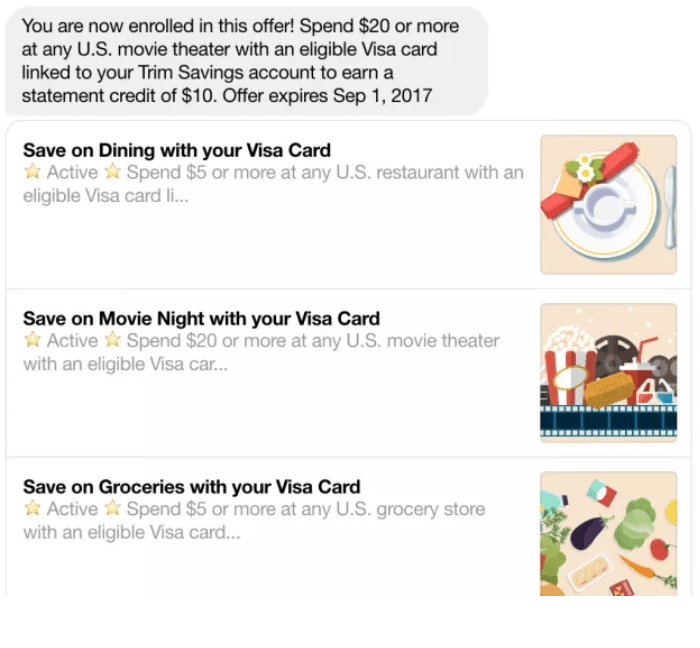 Once you connect your accounts, the app looks at the past 90 days of transactions to identify savings opportunities. Our favorite feature of the app is the ‘Ask Trim’ function. When you select ‘Ask Trim’, it updates you on your spending so you can see how much money you’ve spent throughout the month and where. That is enlightening information you can use to help improve your finances. We all have subscriptions and memberships we spend money on, and it’s easy to overlook their cost. That is sunk money you can use to apply towards other needs or goals. Canceling needless subscriptions is the first main area Trim works on your behalf. Having unwanted subscriptions or memberships happens to the best of us. They may seem like small expenses, but they can add up and keep you from accomplishing goals. When Trim sends you the list of subscriptions, they ask which ones you want to cancel. You simply reply back “Cancel [insert subscription name], and they cancel it for you. This is a free service, and you get the savings to apply towards other financial needs. Do you like to negotiate lower prices for a service? If not, you often overlook significant savings by failing to ask for a lower price. This is where Trim shines and save significant money. Trim has a 70 percent success rate on negotiating lower prices, including up to 30 percent reduction on cable and internet bills, according to their website. The Trim app doesn’t work on all service providers, but if you have a cable, cell phone, or internet provider, they negotiate with all major providers. How much does the Trim Bill Negotiator cost? The subscription cancellation service is free of charge, but there is a cost to the negotiation service. If the service secures a lower price for a service they take 33 percent of the savings. For example, if they reduce your DirecTV bill from $100 to $80 per month, you will save $240 for the year. Trim will keep $79.20 of your savings, so you net $160.80 in savings for the year. That savings may not be worth it for everyone. If you don’t plan to take the time to do the work, then it’s often going to be worth the cost. Trim not only helps you save on recurring charges and subscriptions, the service also saves money on your everyday shopping. Let’s say you regularly shop on Amazon like most of us. Have you ever bought something only to see that it has a price reduction a week later? Amazon used to have a 7-day price guarantee but they don’t offer it anymore so you could potentially lose money if you overspend on an item. Trim watches prices on Amazon and notifies you of price drops. This lets you initiate a price adjustment from Amazon and get some money back. Speaking of cash back, Trim helps with that as well. This is huge since most people don’t mind (and would actually prefer) earning money back on regular purchases they need to make. The most common way to earn cash back is by using credit cards, but it’s no secret that it can be challenging to keep up with your spending that way and if you end up overspending, you’ll have to pay hefty interest charges. Trim allows you to earn cash back easily without having to feel guilty about overspending or pay hefty interest charges. Trim finds relevant cash back deals for you and activates them for you on your Visa card so all you need to do is spend and save. You won’t earn a ton of cash back using this feature as they only offer a handful of opportunities each month. However, it’s an effortless way to get rewarded for your regular spending. This is a newer feature offered by Trim. Paying off debt is a challenge, especially if you have high-interest debt. Through the Debt Payoff Calculator, Trim works to negotiate lower interest rates. They call each card company and ask for a reduced rate. The service does this every three to six months to continuously reduce your interest rates. Additionally, Trim creates a personalized debt payoff plan and calculator. Through personalized coaching they use the plan to help you actively work towards debt freedom. You can do this on your own, but a plan and guidance is immensely helpful towards killing debt for good. Trim does charge $10 per month for this service, with a 90-day refund if you don’t want to use the service. Minimal cost aside, the help to kill debt is well worth it. Now that I’ve gone over all the cool benefits of the app, it’s time to ask ‘is Trim safe’? That’s a fair question since they have access to your financial information. In short, Trim uses bank-level security throughout their service. What does this mean? They use 256-bit SSL encryption, which is standard in the banking industry. Trim does not see your login information when you provide it, they use a system called Plaid (a banking service) to send the information to your bank. Once connected, the bank sends your transactions in a read-only format. This lets Trim see your transactions, but they can’t make any changes to your account. They can’t move money, or make any changes within your account. The app can only see transaction information. Trim also uses two-factor authentication, so anytime you sign in from a new device they send you a verification code to use. The only way something can happen to your accounts is if someone steals your phone or computer and accesses the information that way. It’s also important to note that not all services automatically start when you sign up for Trim. They don’t automatically track Amazon purchases, for example. You have to opt-in for that service. The same goes with their program to lower your Comcast cable bill or internet fees. Truebill adds some features not available with Trim. For example, they offer downtime monitoring to claw back internet costs. Truebill also negotiates with electric companies in certain locations. Both services charge a portion of the savings as cost. Truebill charges 40 percent vs. 33 percent at Trim. Check out our Truebill review to get a full breakdown of the service. Are There Any Downsides to Trim? The great thing about Trim is that it provides all of these services for free. The only downside is they collect 33 percent of your estimated annual savings when they successfully negotiate a lower price. If Trim can find a price adjustment on Amazon for you, they will also take 33 percent of the money back you’d receive, so that is something to consider. You can avoid this charge by doing the work yourself, but the cost is your time. They also negotiate for a job, so it’s likely to result in increased savings versus your efforts. It’s easy to put off doing much of the above. Time gets in the way, or we’re afraid of negotiating. A service like Trim is great because they do all the work for you. Much of it is free, and the rest comes at a reasonable cost. The main thing you should consider is if they are able to generate enough savings to make it worth the cost. If you don’t actively work to get lower prices, it’s highly likely you would benefit from testing out the app. Have you ever heard of Trim? How many unused subscriptions or memberships do you have? How often do you try to negotiate bills? What a great idea! I had no idea there was a service that would do all of this for me – for free! Thanks for letting me know about it. I’ve heard of Trim, but have yet to give it a try. I am obsessive over my subscription fees so I may be fine without it – but after all it’s free so it can’t hurt! I used to have a lot of subscriptions and I could never keep up with any of them so I’m glad I don’t have them anymore. The 25% comes out after they secure your savings. I’d much rather give up 25% to get the other 75% back as opposed to just continuing to pay 100% for something I don’t use. I agree the savings sound good. but I have seen $0 savings and no indication my bill will be lower going forward. . And they took $246 from my account today and now I am overdrawn and they can see that but charged me without notice. Sorry to hear that Cindy, I know they’re not supposed to work that way. If you want to reach out to me – john *at* frugalrules.com I can try and connect you with one of my contacts with Trim to provide some assistance. Why did they take $246? What were they charging you for? This makes me nervous about using it…. That’s what I’d like to know Sarah. I’ve offered to make a connection, but never heard back from Cindy on the offer. They’re not designed to outright take money from users, so not certain of what’s going on.